I love to make this type of drawings and therefore, I made this drawing with black pen and marker. I made this art for my parents and also for this website. Nice Piece! 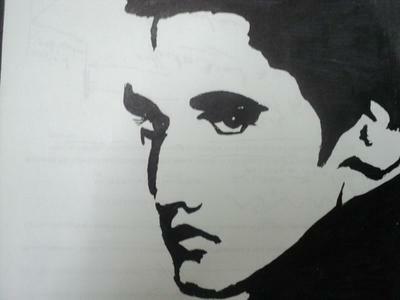 You captured a striking image of Elvis that I'm sure all of his fans remembers him so well. Great Job!